Looking to sell your home that is currently a vacation rental and prefer to sell it furnished? Jody has been a licensed Realtor since 2000 and since 2011 has specialized in vacation rentals. 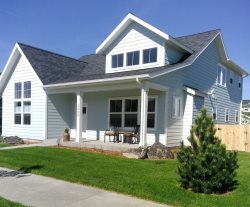 She applies that knowledge and experience in selling your vacation home thru highlighting its income potential and focusing marketing efforts on past guests who are already familiar with the home or the vacation rental experience and want to purchase one of there own in Bozeman!